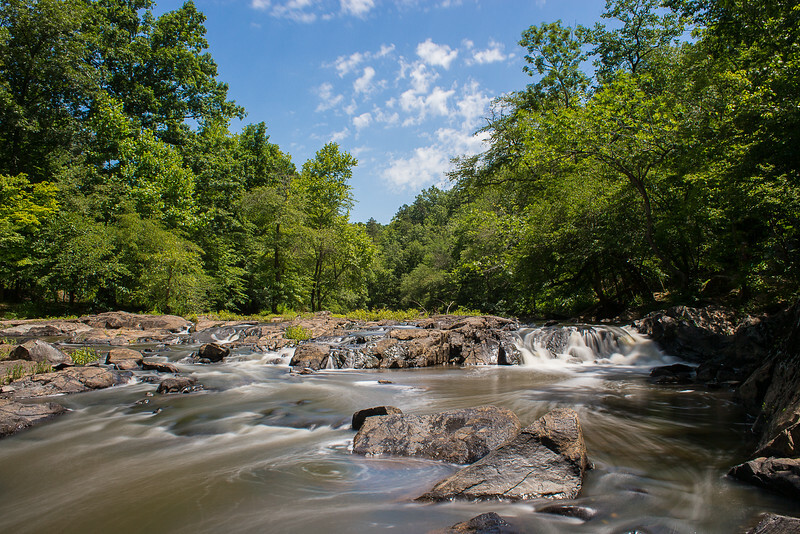 I find it hard to believe that I've never been to the Eno River State Park in Durham County. I've lived here all of my functional life, and in all twenty of those, have never checked it out. It was very reminiscent of this time my parents took me to a river out in California. Lots of shallow pools and miniature falls, and lots of places to go out and play in. Snakes play in the water, too. A family of kids started freaking out as a tiny, adorable thing went past them, desparately holding its head over the waters. The father caught it in a butterfly net and moved it a few ponds over so that it could safely escape into the woods.